While doing a test drive I discovered that the Nissan Leaf has an ordinary 12 volt lead acid battery under the hood. It charges off of the main battery pack, which is several hundred volts. In other words, because you don't need to run an engine to turn an alternator to charge the 12 volt battery, it shouldn't go dead in just a few hours if you use it to run something like your laptop while car camping (which actually happened to me last summer with our Prius). And if I'm wrong, it wouldn't take much for Nissan to make it so with a tweak to the operation software and lead acid battery charging hardware. This feature could make the Leaf into an ideal emergency power source should a wind storm knock out power to your home. 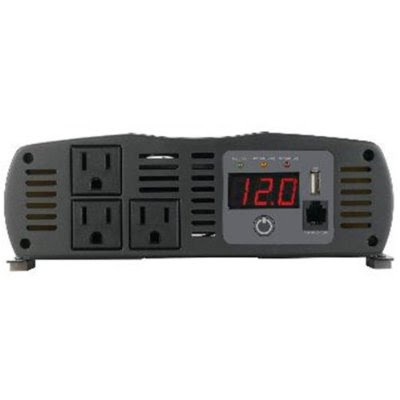 All you have to do is connect a power converter like the one shown above ($95.00) to your 12 volt battery and run extension cords from it to lights or appliances. In the past month there have been two major power outages in my neck of the woods caused by bad weather. Some friends of ours had to live three days without electricity in subzero weather. As with any emergency power backup system, you would have to be careful about how much current you used. 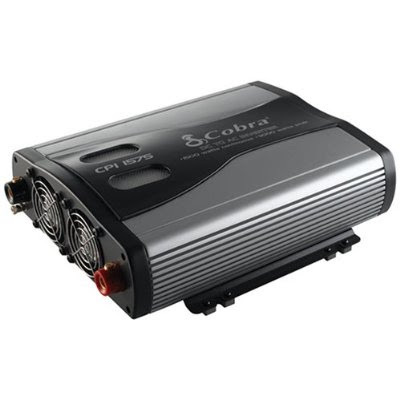 The inverter above is rated to about 1000 watts. In our house I would use it to intermittently run our gas furnace blower motor, which draws about 300 watts, and various appliances, including flashlights, a laptop (and modem) for news etc, and electric bike batteries, which can also power large flashlights. Depending on outside air temperature, I might just move food outside rather than run a refrigerator. With 24 thousand watt hours in the Leaf battery, you could get by for weeks if you were frugal with power use. You might not want to drive the Leaf much until the power is restored just in case. It doesn't take much imagination to go from the above scenario to one where we all share our batteries on a smart grid to stabilize renewable energy sources like wind and solar.